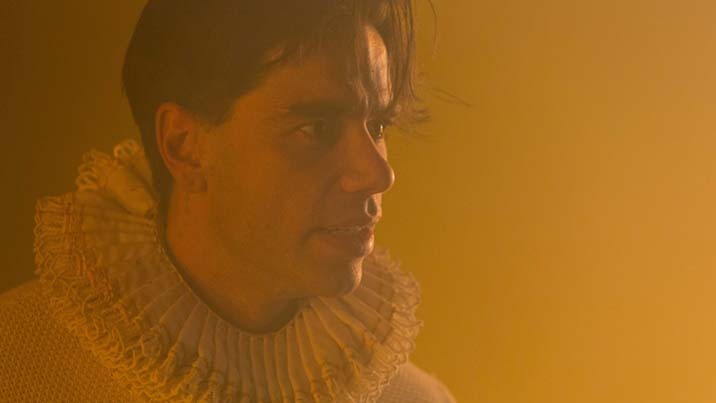 A dark prophecy triggers Shakespeare's gory tragedy that charts the rise, rise and fall of a political couple whose wayward moral compass takes them in a deadly direction. 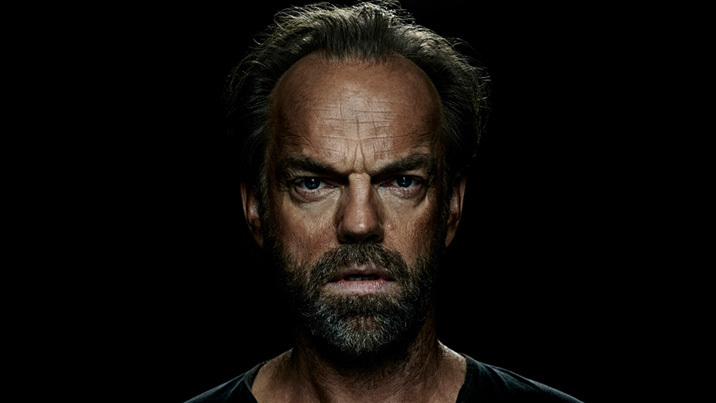 Fasten your seat belts for another towering performance from Hugo Weaving as he wrestles with one of Shakespeare's most complex protagonists. A man whose opportunism o'er-shadows his humanity, whose ambition destroys its prize. 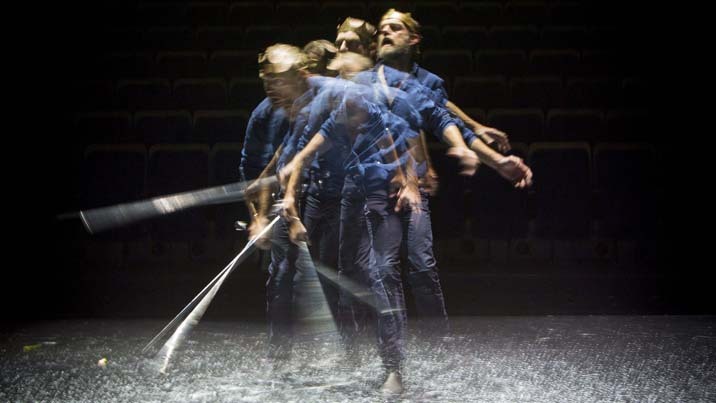 Continuing his keen-eyed interpretation of classic texts, director Kip Williams (Under Milk Wood, Romeo and Juliet) delivers a sharp reworking on a reinvented stage. 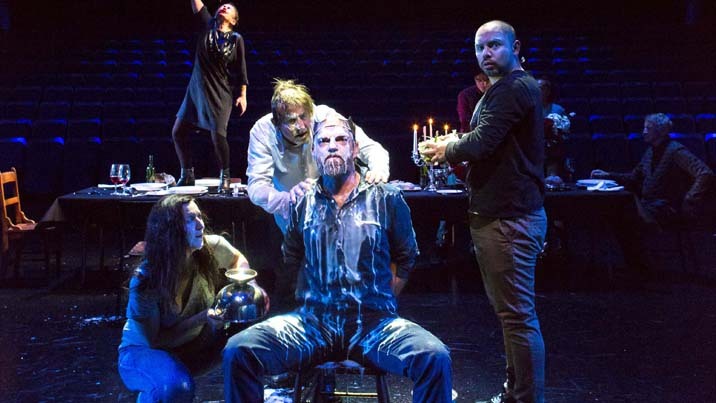 In Alice Babidge's extraordinary design, the vast Sydney Theatre will be turned inside out into a dark, intimate venue, seating the audience onstage with a strictly limited capacity, promising a haunting new experience. The auditorium is the backdrop to the action, the arrangement places the audience up close and personal to the performers as the story plays out. To bring this vision to life, a temporary seating bank has been built on the stage, and the seats are different to the regular seats in Sydney Theatre. They are more like what you might expect at an outdoor cinema or sporting venue. Ticket-holders should dress for comfort. As The Australian describes: “The social and political world is also reflected in the unusual staging. 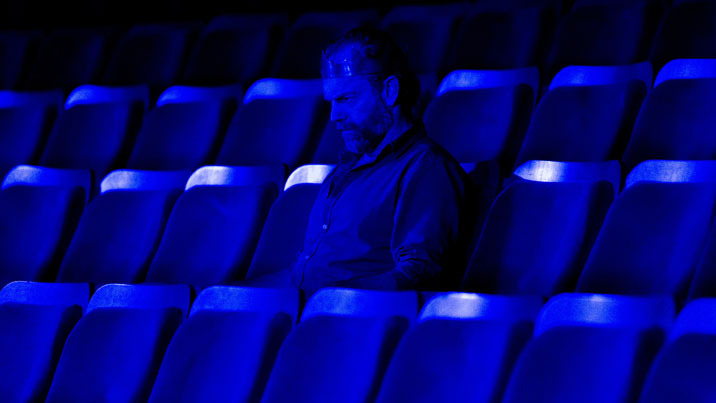 Director Kip Williams and designer Alice Babidge cram a reduced audience on to the stage of the Sydney Theatre, with a large playing space on the floor of the stalls and the vast auditorium looming behind. The emptiness of all those serried rows of seats, in the context of this story, is chilling. They become the setting for several scenes of exile." 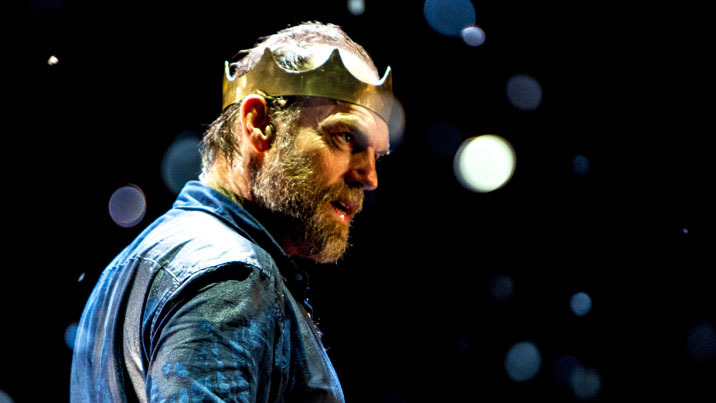 This is Macbeth like you have never seen it before. Patrons in possession of tickets to this sold out production should come expecting a memorable theatre experience. Due to the non-conventional staging design and close proximity between the audience and performers, latecomers will not be able to enter the theatre after the performance has commenced. Latecomers: Latecomers will not be able to enter the theatre after the performance has commenced. To avoid disappointment, we strongly encourage ticket holders to allow a little extra leeway for any potential transport or parking delays when planning your journey. 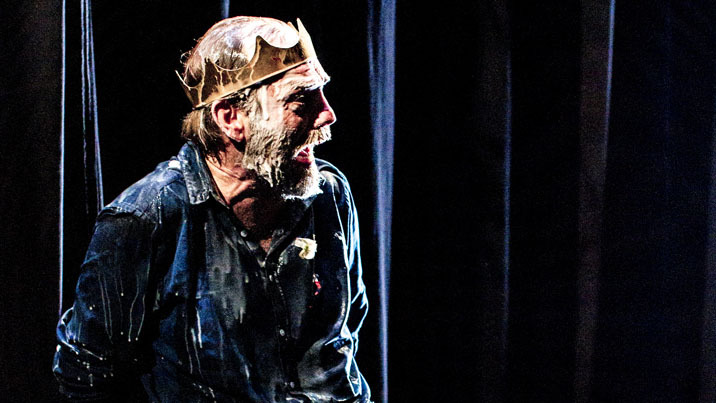 Important: Please note that due to the unique design and limited capacity of Macbeth, late comers will not be able to enter the theatre after the show has commenced. To avoid disappointment, we encourage ticket holders to allow a little extra leeway for any potential hold ups when planning your evening. For more information about planning your visit and getting to Sydney Theatre, please see here. 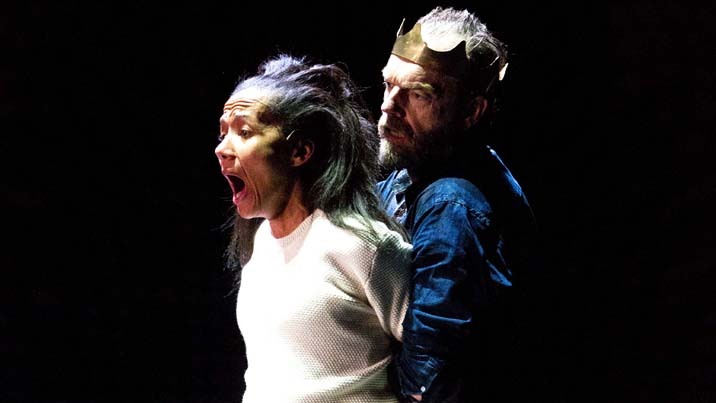 This production of Macbeth is a unique theatre experience with unusual staging, performed in an intimate setting. Sydney Theatre has been turned inside out, seating the audience onstage. The auditorium is the backdrop to the action, the arrangement places the audience up close and personal to the performers as the story plays out. A temporary seating bank has been built on the stage, and the seats are different to the regular seats in Sydney Theatre. They are more like what you might expect at an outdoor cinema or sporting venue. Ticket-holders should dress for comfort. We encourage you take advantage of our free cloaking facility to store bags, coats, umbrellas etc. The cloak room is located to the left of the Box Office on ground floor. House Services staff may request that you cloak your items to help maximise space in the theatre for yourself and others. All patrons will enter through Door 5 on ground floor. This is a different route than usual, and takes your straight onto the stage rather than into the auditorium. The House Services staff will be there to guide you to your seat. 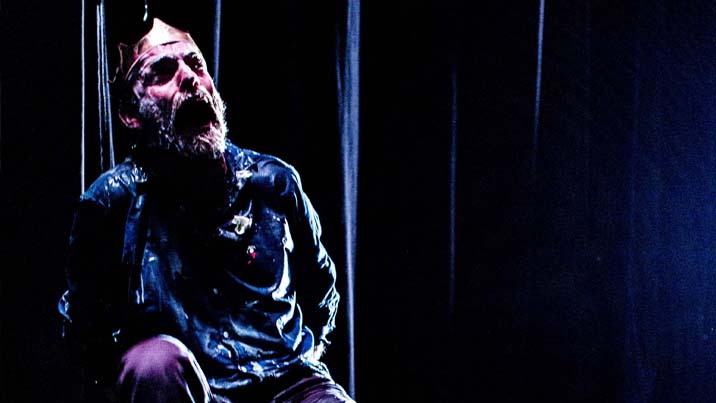 Due to the non-conventional staging design and close proximity between the audience and performers, latecomers will not be able to enter the theatre after the performance has commenced. To avoid disappointment, we strongly encourage ticket holders to allow a little extra leeway for any potential transport or parking delays when planning your journey. 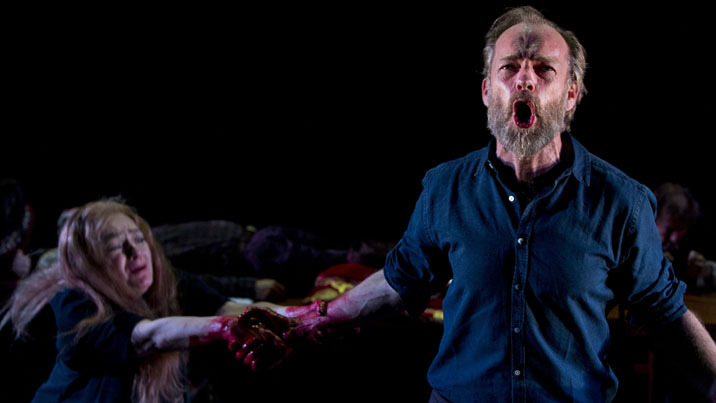 Macbeth runs for 2 hours without an interval. If you leave during the performance, House Services staff will assist you to find your way. When returning, House Services staff will seat you where possible – this may not be the same seat to avoid disrupting other audience members or the performers. 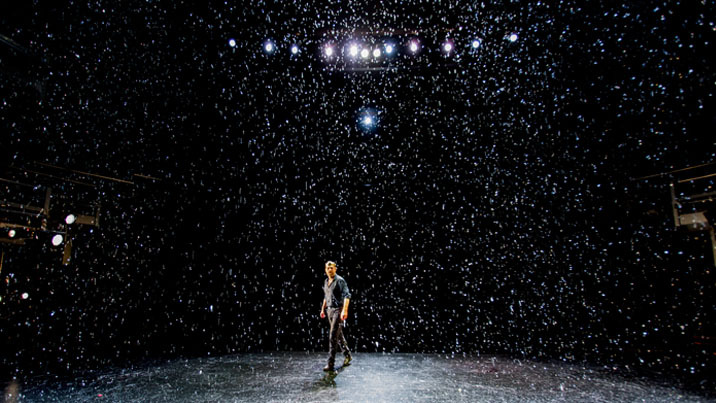 This performance contains theatrical haze and strobe lighting. You are welcome to contact our Box Office, or see staff at the venue when you arrive if you have any concerns or queries.